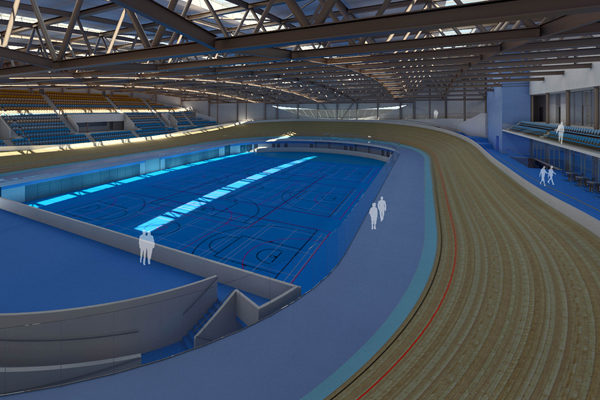 Work started this week on the new velodrome in Derby, it will be Britain’s fifth 250 metre indoor track. A groundbreaking ceremony was held yesterday (November 22) as the diggers moved in to start work on the £28m state of the art arena that will also include fitness and wellbeing facilities, badminton courts and a 1.5km closed road circuit outside. 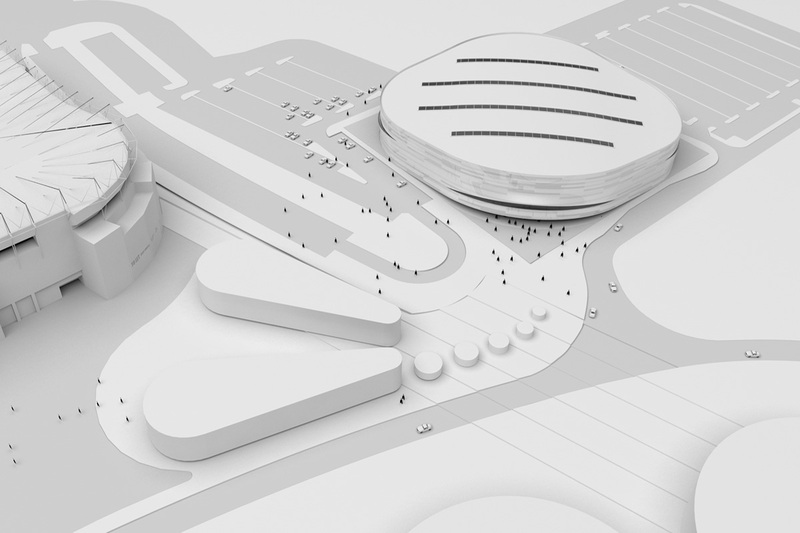 Plans for the 1,700 seat venue were first approved in March 2011 by the Conservative, Liberal Democrat administration, but in May this year concerns were raised as the incoming Labour administration appeared less keen on the plans and ordered a review. A rally was organised in Derby city centre by local sports fans to show their support for the velodrome and in July the council finally backed the plans and the project moved forward again. The contract for the building was awarded to local firm Bowmer and Kirkland, although Derby city Councillor Martin Repton told the BBC website that the fact they were local was not a factor. Bowmer and Kirkland’s most prominent sports facility in their back catalogue is the North Lincolnshire Sports Academy; an environmentally sensitive building made using pods. Perhaps one of their biggest challenges is appeasing the Environment Agency on the adequacy of the building’s foundations as the site stands on a former landfill site. The track will be built by German company Velotracks and made out of Siberian Larch. Councillor Repton said in a press release that went out this week; “The new facility will draws on the inspirational pull of London 2012 The Multi Use Sport Arena is the first element of Derby’s iconic Leisure Strategy which will further show the world how Derby has been inspired by the Olympic spirit. Construction officially starts on Monday, November 26, and the venue is expected to open two years later in November, 2014. 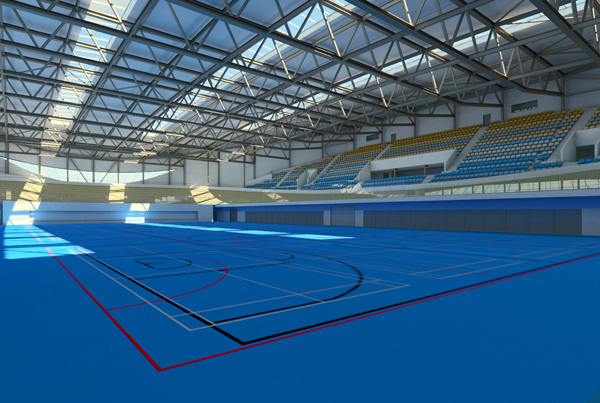 An artists impression of the inside of the Derby velodrome including sunken infield with badminton and basketball courts.